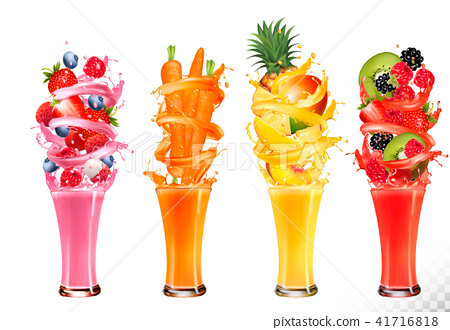 Fruit in juice splashes. Strawberry, guava, watermelon, pineapple, mango, peach, raspberry, blackberry, kiwi, lychee, carrot. Vector.